The festival attracted 4532 customers this year to its four sessions, on 27th to 29th October, 120 short of the 2010 record, but still 370 up on the 2009 attendance. 13707 pints of beer, 2064 pints of cider and 864 pints of perry were consumed. 157 different beers were available, 30 ciders and 12 perries. Five awards were made. Beer of the Festival was Rum Porter of Boggart Brewery in Newton Heath, North Manchester. Two awards went to beers previously honoured at Eastbourne festivals: Sussex Microbrewery Beer of the Festival went to Beachy Head Brewery from up the road in East Dean for Legless Rambler, while the Beer of the Festival (Sussex Exemption) went to Burnley’s Moorhouse’s Pendle Witches Brew from Lancashire. The presentation to Beachy Head was made at the festival, as brewer Roger Green was present, working as a CAMRA member. As has become a custom, Branch Members hope to send a delegation to the north west to make brewery visits and presentations in Newton Heath and Burnley. The Cider of the Festival award went to South Hayne Farm near Tiverton in Devon, while Perry of the Festival was Newton Organic from Newton near Leominster in Herefordshire. 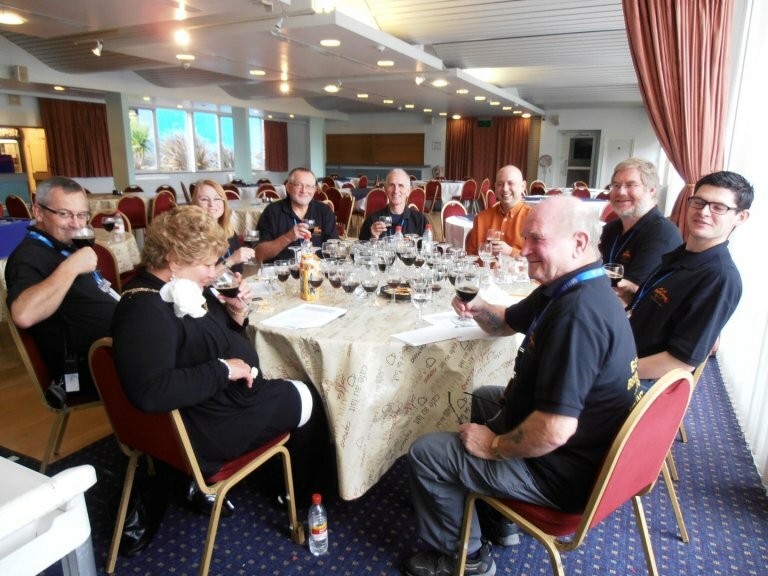 As usual a London and South Eastern Region Champion Beer of Britain heat was held at the festival, this year the eight person panel judged porters. In addition to seven CAMRA members, including the mayor, we were pleased to welcome Brett Ross, brewer at the one year old Hastings Brewery. From West Sussex, Hammerpot Brewery’s Bottle Wreck Porter was a clear winner with 302 points with Kent’s Larkin’s Brewery on 257 points in second place. Grateful thanks go to a core of branch members who gave generously of their time and effort, without whom there would be have been no festival. Also to visiting CAMRA members, a number of whom we welcome each year and also to our partners at Eastbourne Borough Council’s Events Team, who enable a CAMRA festival of this size to be held.